First published at RED—Radical Education Department: An autonomous collective training cultural warriors for a radical internationalist Left. http://www.radicaleducationdepartment.com. 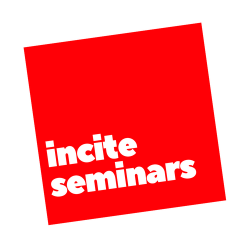 Incite Items ISSN # pending. The Radical Education Department organically grew out of our orchestrated direct action campaign, as Nova Resistance, against the over-funded and over-securitized lecture by racist eugenicist Charles Murray at Villanova University in the spring of 2017 (click here to read a recent post about this action). However, its roots, for some of us, stretch back further to our activities at Occupy Philly, as well as our collective publishing of Occupy Philly: Machete. In what follows, I reflect on why we decided to launch RED in the summer of 2017. I have always strongly believed in the importance of collective organizing and institution-building in order to maximize our agency by working with others to construct platforms for the future. In my various experiences organizing and founding alternative institutions, however, I have also come to learn that many projects never get off of the ground because they are all too quickly ensnared in the bramble of petty debate. This can include such things as individuals being more invested in their subjective preoccupations than in collective action or—particularly in intellectual circles—the sophistication Olympics, in which pedantic posturing and problematization exercise their domineering, disheartening and imperial rule over anything practical, tactical or productive. When a group of us came together so seamlessly to contest the promotion of white supremacist misogyny and top-down class warfare on a conservative college campus, it struck me that we had the baseline of shared convictions that would allow us to move ahead productively with other projects. Indeed, once we started sharing ideas, I became convinced that our modus operandi of diagonal or transversal organization was a powerful practical solution to other models I had encountered. In my experience, if the verticalism of a top-down chain of command can smother important ideas from below, the horizontalism à la Occupy can sometimes foster an endless plethora of ideas with little or no direction. Our decision to organize diagonally—by which I refer to our conviction, for instance, that a RED endeavor be defined as anything that at least two members agree on—meant that we could do away with a single leader without bottoming out in obligatory consensus. This form of organizing, which overlaps with some of what I had been trying to thematize in my writings and interviews on the Nuit Debout movement in France, has meant that we can work very efficiently and autonomously without needing to constantly meet to debate our next steps. It is an enormous boon, in this regard, that we are all on the same wavelength and trust one another due to our years of intermittently organizing together. Since we are all currently involved with institutions of higher education, it made sense for us to do everything that we can where we are. The focus on education, however, I think we all understand in the broadest possible sense of the term (like the ancient Greek notion of paideia): it is the collective process of forging a collectivity, by mutually fashioning its thoughts, feelings, representations, values and worldviews. Moreover, since we are the bearers of myriad university credentials, I was very drawn to the idea that we could mobilize them in the name of radical social transformation. Instead of the anti-capitalist Left being affiliated by the propaganda machine with destitute, dirty and drug-induced dropouts, RED—whose most powerful symbol to date is a radical “dressed to teach” à la JPS confronting Murray—can send a very strong message about why we should all be on the hard Left. For if we spend years seriously studying the history of the modern world while cultivating intellectual autonomy from the ideological incarceration within capitalist thought factories, we will reach the same conclusion: another world is necessary! This focus on education goes hand-in-hand with community building and the development of an autonomous pedagogical platform. 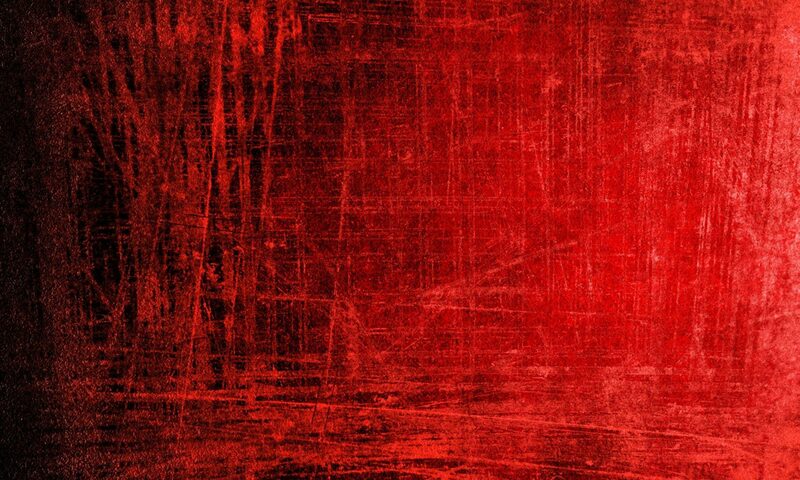 In fact, in many ways, I understand RED as a collective process of self-education. In sharing our views with one another and a broader community, providing feedback on one another’s projects, creatively brainstorming together, and so forth, we are collectively teaching one another through the direct action of productive theoretical and practical exchange. Rather than trying to make RED into an advertising campaign that simply garners as many votes as possible like a political party, I take it that we have founded an organization in the best sense of the term: an autonomous collective invested in self-education in order to foster a process of group social transformation. An organization, we might say, “takes the long way around” in the sense that it is invested in a deep and long process of autonomous pedagogical metamorphosis rather than in the “quick return” of a political party that multiplies its followers as hastily as possible through thoughtless banner-waving and public relations campaigns. There are also important conjunctural elements that contributed to the founding of RED. One of these is the paltry response of liberals—who exercise an unmerited monopoly over the term “the Left” in the United States—to the election of a white supremacist trust fund baby to the White House. One of the ways in which the system of pseudo-democracy works is by corralling the administered masses into camps and determining their struggles for them. In the U.S., this tussle is defined as one between liberals and conservatives, and there is very little inquiry into why these are purportedly the only two options. This is particularly important because both of these camps are defenders of imperial capitalism, and the major difference is in their public relations campaigns. If liberals want to keep the gloves on and conservatives take them off, they both agree that the world should continue to be unremittingly pummeled by top-down global class warfare. In blindly accepting a marketing campaign intent on defining “resistance” as “opposition to Trump,” liberals swallow—hook, line and sinker—the bait tendered to them by pseudo-democratic administered reality. They thereby contribute to the perpetuation of the very system that produced this trust fund baby and so many others that are intent on advancing the same basic project (the imperial record of the Clintonites, which includes Obama, has been well documented for anyone interested in examining it). Meanwhile, any position to the left of liberalism is violently subjected to the reductio ad Stalinum, as if opposing an economic and political system that is fast destroying the conditions of possibility of life on planet Earth was a form of bloodthirsty terrorism. This “blackmail of the Gulag” also eradicates—or, at least, attempts to—the memory of any radical leftism irreducible to Stalinism, like the anarchist international, egalitarian Soviet social projects, the varieties of anti-colonial struggle, autonomous indigenous movements, radical ecological politics, and so forth. Unfortunately, however, the inter-generational assault on the academy, marked by the red and black purges of the McCarthy era (that have never really ended), has assured that the university serves its function of ideological social reproduction by being dominated by conservatives and liberals with little or no awareness of these histories. In this setting, it has been particularly important for RED to launch a frontal assault on the ideological pillars of liberalism, insofar as they usually function in perfect harmony with the conservative perpetuation or intensification of global structures of oppression. Along with the sword of direct action, then, we have taken up the pen of intellectual guerilla warfare to systematically dismantle the pervasive but misguided practico-theoretical framework surrounding issues like free speech, direct action, violence and antifascism. We are fully aware of the fact that pro-capitalist—and usually jingoist—liberalism has much broader support in the university and the mass media, which inevitably restricts our audience. Politics, however, is not a popularity contest or an advertising campaign, despite what we are taught to believe. It is most fundamentally about how a collectivity forges its own reality. And we, at RED, are invested in qualitative transformation, not simply in a numbers game that is another one of the baiting mechanisms of administered pseudo-democracy. Rather than reducing politics to pandering to the ideological masses, in order to guarantee that they get what the system tells them that they want, it should be about qualitative collective education and social transformation. I think that I can safely speak for all of us at RED when I say that we are not simply opposed to the latest trust fund baby in the white house. What we reject is the system that produced him, and so many others, and will continue to produce them if it is not dismantled. As the etymology of the adjective “radical” suggests, the Radical Education Department seeks to go to the root of the current crises and take power into our own hands, rather than remaining within the comforting illusion that we just need to elect different members of the ruling class to administer reality to us.